Lock in a great price for Chalet Hotel Du Fornet – rated 9.4 by recent guests! Great owners. Beautifully designed. Staff couldn’t have been more helpful. Stephane and Marie were wonderful hosts! The room was comfortable with a nice view of the nearby chalets, trees, and snow; the breakfast was tasty, traditional, and filling enough for a day of skiing; and the optional dinner was a delicious addition on the night that I had it. I hope to return next year! Very warm, friendly and helpful staff. Up to date, comfortable accommodations in a quaint village walking distance from gondola. Lovely breakfast. Wonderful clean family small intimate hotel, extremely friendly and helpful staff and owner. I would highly recommend this hotel to anyone looking for a mountain escape place to stay, close to but just outside the hustle and bustle of a major ski area. I plan to return. 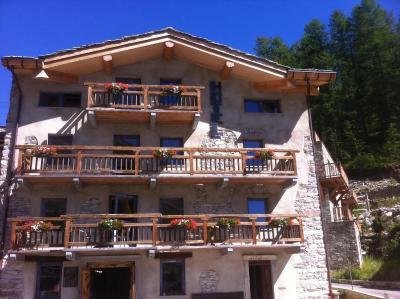 Fantastic small hotel located in the heart of Le Fornet village. 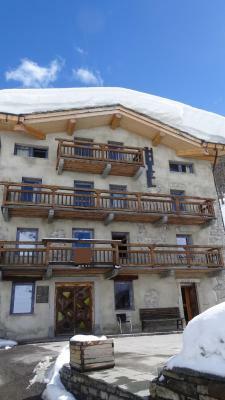 Possible to ski in very close to the hotel and a small walk to either the free ski shuttle bus or Fornet lift. The hotel far exceeded our expectations. Room and overall building were very tastefully completed. Amazing shower and finally a room with hooks to hang up ski gear! A spa and boot room downstairs in the basement. But the real differentiator were the staff who went out of their way to make us feel comfortable and at home, both before arrival (with respect to parking advice) and while we were guests. We would come back anytime! Stephane & Mary were extremely welcoming and helpful throughout our 5 night stay. The Hotel including our room was very comfortable & personal. Just right for our stay. Breakfast included the usual and an offering of an egg which suited us. The spa was a lovely surprise. Better than we expected. It was all done so nicely. The rooms were beautiful. An excellent breakfast. Super friendly staff. 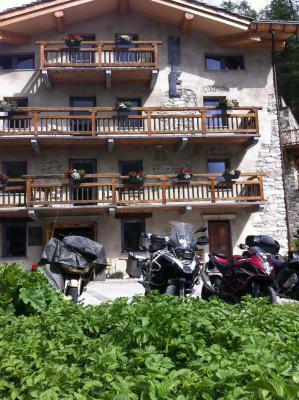 Amazing Chalet/Hotel , Stephane, Mary and all the staff were so nice and helpful. The rooms are perfect, so quiet and peaceful. Lovely breakfast to start the day . The spa is an excellent bonus too . Will definitely stay again . !! 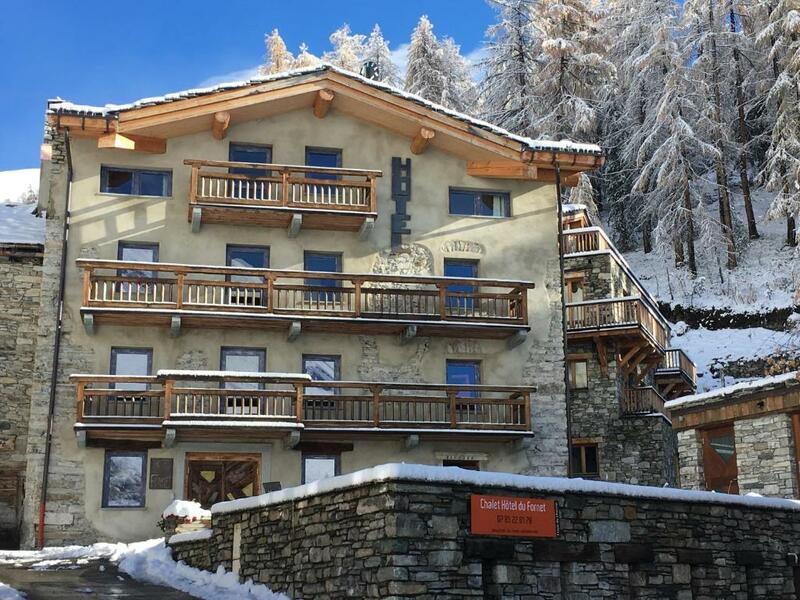 One of our top picks in Val-d'Isère.This chalet-style hotel is located in the heart of Le Fornet village just 1.2 mi from the center of Val d'Isere and 650 feet from the ski elevators. 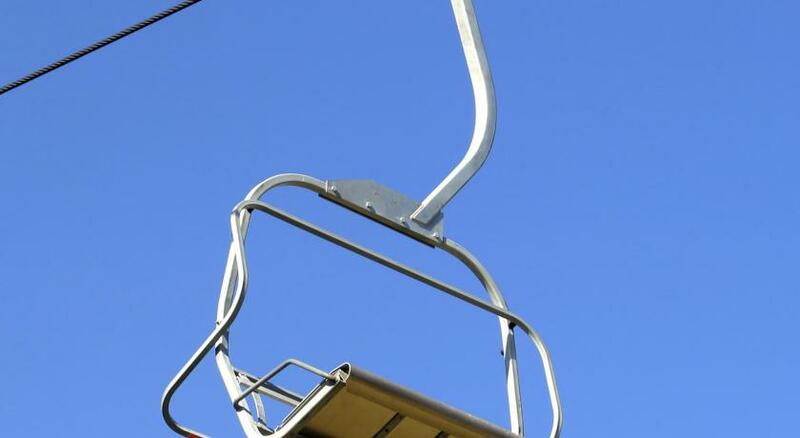 Free ski shuttle to Val d'Isère is available. Free WiFi access is provided by the hotel and parking is available at an extra charge. Rooms have a mountain view, flat-screen TVs, and iPod docking stations. All rooms have a private bathroom with free toiletries and a hairdryer. Restaurants and grocery shops are located 1.2 mi away, and a continental breakfast is served every morning. Dinner is available 5 days a week. 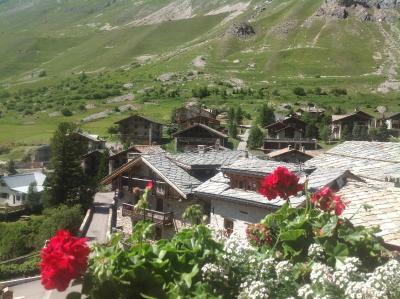 Skiing, hiking and mountain biking can be done in the area as the property is located 1.2 mi from the National Park of Vanoise. The Hotel Du Fornet is 19 mi from the Borg-Saint-Maurice Train Station and 81 mi from Chambéry Airport. When would you like to stay at Chalet Hotel Du Fornet? Featuring views of the mountain or the village, a private bathroom with a bath or shower, hairdryer and free toiletries, this room also has a flat-screen TV and an iPod docking station. This larger room has a mountain view, a private bathroom with a bath or shower, hairdryer and free toiletries. It also has a flat-screen TV and an iPod docking station. This room has an additional a mezzanine sleeping area, a mountain view and a private bathroom with a bath or shower, hairdryer and free toiletries. It also has flat-screen TV and an iPod docking station. This twin/double room has a iPod dock. House Rules Chalet Hotel Du Fornet takes special requests – add in the next step! Chalet Hotel Du Fornet accepts these cards and reserves the right to temporarily hold an amount prior to arrival. If you plan on arriving after 19:30, please notify the property in advance with the contact details provided in your confirmation. The spa is open from 15 December 2018 until 22 April 2019. The only real downsides are that checking in during the day (between 11 and 3??) isn't possible as the desk isn't manned and that you can't park directly outside - although parking is a village limitation rather than the hotel. We were able to park for free at the entrance to the village and also by the ski lift so not a huge issue. WiFi was poor and although there was a bar it was never open. A loyalty bar would be a great addition to add to atmosphere. A few more toiletries in the room. But I’m nitpicking! 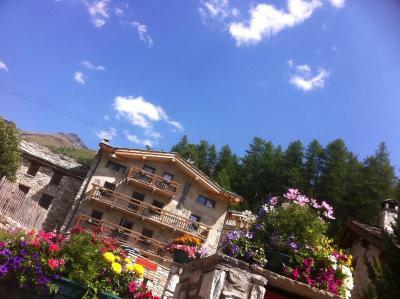 Fabulous hotel nestled in the GORGEOUS enclave of LE Fornet. You can access the hotel by hopping off the side of Le Foret piste in the trees which makes the last run of the day a pleasure knowing you don’t need to walk further than about 25 yards. The hosts, Marie, Stefan and Morgan, could not be more accommodating. Will be heading back for sure. Had to get a free shuttle bus to/from Val D’Isere. But a small price to pay for a great location. 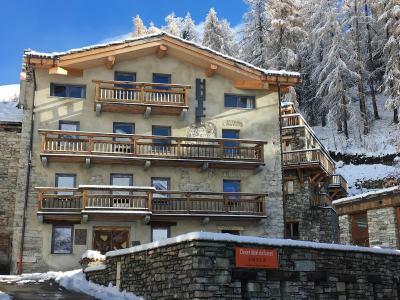 Very friendly, family run hotel near to some of the best skiing in the Alps. Recently refurbished to a very high standard.. The Wifi was only available in common areas, except for one day where it was available in the room for a few hours. Not a big deal, but would have been nice to know and plan for ahead of time. The bathroom had a nice big tub but only had a shower attachment near the tap so it was difficult to shower without getting water all over the bathroom. The sauna/steam room were lovely but were not on during the listed times (3-7pm) consistently. The hosts were very accommodating and nice, arranging late dinner and early breakfast to accommodate our travels. The room was very comfortable and had a nice deck (not used but nice to look at!). The chalet is located very close to a lift and bus stop into town but is set apart in a quiet, peaceful area. We absolutely loved our stay and were sad to leave! Nice breakfast, quiet and well equiped room. Very helpful and kind staff. 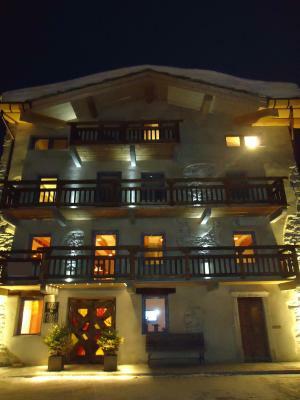 Everything about this hotel was perfect, if you like a relaxed end to your hard day’s skiing, this is the place for you. Very clean rooms. Neat old building with modern rooms. Friendly staff. Quiet location. Even got an upgrade to a bigger room on the top floor. Very nice room. Style fits the building.